news The Australian Competition and Consumer Commission has given its approval for a new taxi app called ihail, an initiative that the taxi industry hopes will allow it to fight back against ride-sharing services like Uber. The joint venture will see the participants – including Yellow Cabs, Silver Top Taxi Service, Black and White Cabs, Suburban Taxis and Cabcharge – launch and operate the new booking app in “major metropolitan and regional centres” across Australia and some cities internationally. “The app will provide an additional platform for passengers to book taxis from a large pool of taxi networks and drivers. The ACCC accepts this is likely to reduce waiting times, particularly in peak periods, which is a benefit to the public,” said ACCC Chairman Rod Sims. The ihail system allows taxi networks to sign up to the service, without becoming members of the joint venture, while taxi drivers working for any participating taxi network must opt-in to receive ihail bookings over existing dispatch systems. Notably, the ACCC’s original draft decision last year had proposed to deny authorisation over a risk of insufficient competition. The commission had been concerned that, because Cabcharge is the exclusive payments provider for the ihail app and payments were restricted to within the app, competition between Cabcharge and emerging providers of taxi payment processing services would have been “dampened”. As a result, ihail was forced to make a number of modifications to the app in order for the final decision go in its favour. ihail will now give passengers the option to pay fares in the taxi, rather than solely via the app, and the ability to choose their preferred taxi network based on either performance information provided during the booking process or the nearest available taxi, regardless of the network. “The ACCC considers the ownership structure underpinning the ihail app is still likely to allow the participants to quickly establish a larger network of taxi drivers than any other app, and that this initial competitive advantage will not be gained from offering a better product to drivers and passengers, but through ihail’s ownership structure alone,” Sims said. “However, the ACCC considers that ihail will still face competition from other taxi booking apps and ridesharing apps which have established brands and customer bases. There is also nothing in the arrangements preventing drivers using other booking apps,” he added. The ACCC has, however, imposed conditions to its authorisation, and requires ihail to “explicitly inform” drivers that they are free to use competing booking apps. The conditions also prohibit ihail and its shareholder networks from preventing drivers using other booking apps or “disadvantaging” drivers who do so. “These factors should mitigate the extent of the reduction in competition and associated public detriment due to the competitive advantage ihail will have as a result of its ownership structure,” Sims said. This is wonderful and all, BUT WILL THE TAXI SHOW UP!!!?? This has been the biggest issue with ‘booking’ a taxi in the past. They just do no shows unlike uber! In my experience this is also quite a substantial issue. Then you have to ask if you want to get in the taxi, provide the driver with directions, take over the entry of the address into the GPS for him as he can’t spell an address like “4 Baker Street”, hope that the taxi holds together with its torn seats, numerous, that he doesn’t crash/drive down the footpath and that you don’t need to hold your breath for the trip. Or you could just catch an Uber. To be completely fair, Uber drivers are able (and willing) to cancel a booking with no explanation given, at which point Uber is unable/unwilling to receive any review or feedback about the booking. The only difference is at least you know it’s been cancelled. Correct Hotcakes you know its been cancelled. nlike a taxi that you don’t, you sit there waiting and waiting and waiting… then go crap they’re not coming, so rush to try and get another taxi booked etc. If you’re going to the airport, you end up booking the first taxi EXTRA early to allow for poor service! Also while a uber driver can cancel a pickup, they can only do so many before mother ubership punishes them! So its not very common to have it canceled. Can you rate the driver? 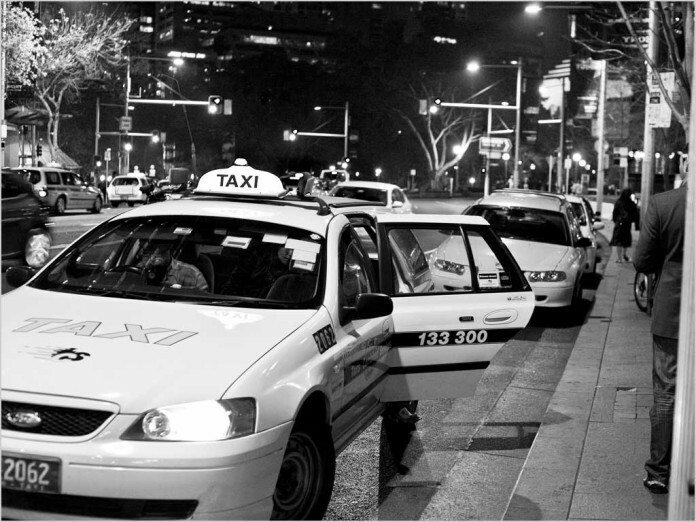 Melboure taxi safer than any alternative transport…. !